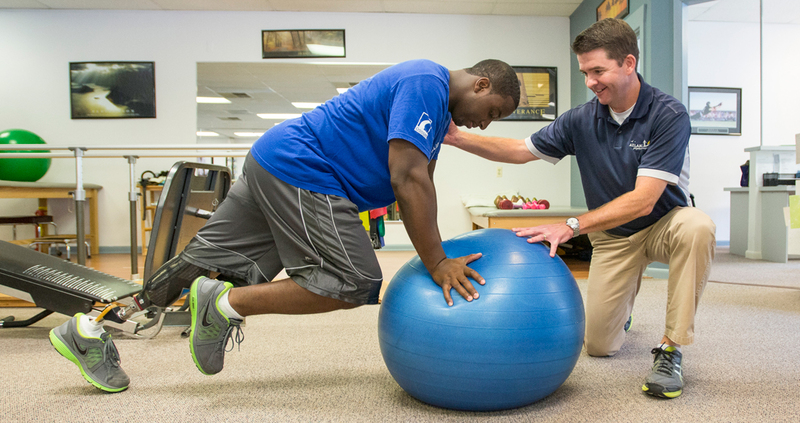 This hands-on approach separates physical therapists from other health practitioners. Although manual therapy may refer to many things, therapists usually employ common tactics like stretching, massage, and hands-on strengthening exercises to reeducate the body into proper movement and mechanics. “Manual therapy is a prime method to removing movement restrictions and helping patients move better,” according to Dr. Reinold. He also advises that manual therapy should form the backbone of any treatment plan, not modalities like ice and electric stimulation. Ice can be a major component of injury treatment. By constricting blood vessels after application, ice is an effective way to reduce and even prevent inflammation immediately following an injury. Cold therapy can also leave the joint more mobile and enhance manual therapy. Although it’s difficult to nail down the most effective protocol, applying cold packs to inflamed areas has been shown to significantly reduce swelling in soft tissue injuries . Applying heat has been shown to decrease pain and increase mobility after some injuries — mainly those involving soft tissue like muscles, tendons, and ligaments . By making the tissue more pliable, the therapist can better stretch the affected area. Note: Heat is just one tool to help the therapist be more effective, Dr. Reinold says, it shouldn’t be the main focus of a treatment plan. By using sound waves (undetectable to the human ear) to generate heat deep in the body, ultrasound therapy can help loosen up tissues in preparation for manual therapy or exercise. How it works: Therapists use a wand (unfortunately not the magic kind!) to apply the sound waves directly — and safely — to the skin. Ultrasound has also been shown to increase ligament-healing speed in our furry counterparts (read: rats), though more studies are needed to show whether the same holds true for us . Laser therapy uses specific wavelengths of light to stimulate healing (well below the skin so you don’t feel a thing). Best-case scenario: The treatment can help reduce inflammation, muscle fatigue, and pain . It can also allow the therapist to move the affected joint around easier with less discomfort. When we stand, our spine is consistently bearing our weight making recovery from back pain difficult, Dr. Reinold says. Traction involves separating vertebrae to allow more space for nerves and less compression on disc cartilage. Some research shows that traction can be effective for reducing pain and enhancing quality of life in patients with a herniated lumbar disc . And since it doesn’t involve going under the knife, this can be an effective treatment option for those who can’t afford a long recovery. It’s electric — no really. Electrical stimulation, also referred to as ESTIM, is a common treatment option to restore muscular function following a traumatic injury. By applying a minor but steady electrical stimulus, therapists can cause contractions from muscles that may otherwise remain dormant. This leads to restoring proper movement and function sooner than relying on exercise alone. While ESTIM can’t restore movement in every case, research shows it can speed recovery following ACL and total knee replacement surgery over the course of a few weeks . Additional research confirms the use of ESTIM as an effective treatment option to restore function in hemiplegic patients (those with one side of the body paralyzed) . It may sound obvious, but exercise is a go-to strategy to treat and prevent pain. But these aren’t just any old run of the mill exercises — they’re hand-picked to help patients move better by strengthening targeted muscles and addressing any muscular imbalances that may exist, Dr. Babenko says. Also, keep in mind that many injuries can crop up (or recur) from a sedentary and repetitive lifestyle, Dr. Reinold explains. (Think: hunching over the computer or obsessing over that Instagram feed.) By performing any sort regular exercise, those with even the most sedentary day-to-day can avoid common nagging aches and pains. Hello this is a nested comment and that will look like this! To delete a comment, just log in and view the post’s comments. There you will have the option to edit or delete them.